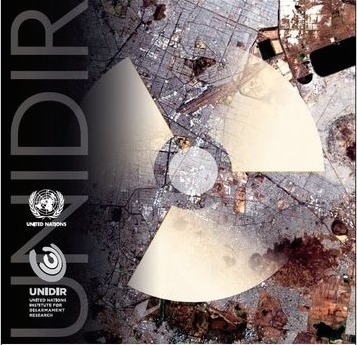 This perturbing view has been expressed in a study by the UN Institute for Disarmament Research (UNIDIR) undertaken in cooperation with OCHA (Office for the Coordination of Humanitarian Affairs) and UNDP (UN Development Programme) ahead of the first International Day for the Total Elimination of Nuclear Weapons on September 26. The report points out that although there have been international exercises in the recent past based on scenarios such as radiological “dirty bombs” or chemical weapons use, there have been no equivalent exercises in order to understand the challenges to the humanitarian system of assisting the victims of nuclear weapon detonations events in highly populated areas. Besides, there is no focal point within the humanitarian system for a systematic planning for response to nuclear weapon detonation-specific phenomena. Furthermore, specialized standing responsibilities such as radiation monitoring and radiation decontamination at the field level in support of humanitarian operations in the event of nuclear weapon detonations do not appear to have explicitly been allocated, either to international agencies or humanitarian partners. A key finding of the study is that some specialized agencies view their mandated responsibilities as applying in civil radiological emergencies but not in cases of nuclear weapon use, or to certain kinds of nuclear weapon detonation scenarios (e.g. terrorism) but not others (e.g. state use, nuclear weapon accidents). The authors of the report further point out that standing arrangements for coordination between the UN humanitarian system and relevant national authorities in the specific case of a nuclear weapon detonation event do not appear to exist, although the formation of bodies such as the Operational Preparedness Group on CBRN (Chemical, biological, radiological and nuclear) defence are encouraging developments. “While we have no doubt the humanitarian system would swing into action as swiftly as it could, developing these arrangements in the heat of the crisis is not ideal, and would take time – with ample chance of confusion or misinterpretation that would be likely to impede the most timely and effective response,” warns the study. Yet another conclusion of the study is that threat or fear of further nuclear weapon detonation events could vastly complicate decision-making about the nature and scale of humanitarian coordination and response, let alone its delivery. “In the hours, days, or even weeks following a nuclear weapon detonation event, its origin, or the identity of those responsible for it, may not be known. Such uncertainty could create further nuclear crises of its own. “Moreover, in terms of risk assessment, humanitarian actors (including relevant United Nations agencies) may feel it is too hazardous to deliver humanitarian relief to the affected. For their part, the state (or states) affected might be unwilling to accept relief until the environment is sufficiently ‘secure’. States in a position to offer assistance coordinated by the humanitarian system might be unwilling to do so if they fear further nuclear weapon detonation events are plausible. This could exacerbate suffering for those directly affected or displaced,” notes the study. Though prevention is the best response to nuclear weapon detonation events, authors of the report feel that some advance thought and planning within the UN system “could plausibly reduce the overall level of human suffering arising from some nuclear weapon detonation events significantly, even if there is not much it could do in the immediate aftermath”. Organizing a capacity for a response, however inadequate it may prove to be, is not simply a matter of responsible anticipation, organizational cohesion, and readiness to meet public expectations. It would also help save lives in reducing the time necessary for devising decision-making channels, coordinating the mobilization of resources, and resolving health issues relating to positioning personnel to conduct relief activities. In essence, concludes the report, what is needed are systematic decision-making processes determined in advance and setting out clearly the premises on which mobilization will be “triggered”, based on assessments of the hazards arising, levels of contamination, and other risks to be weighed in deploying relief personnel.